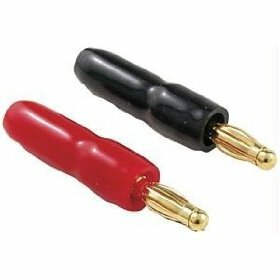 This set of 2 pairs of crimp-on banana plugs (2 red and 2 black) can help speed up your installations or DIY projects. 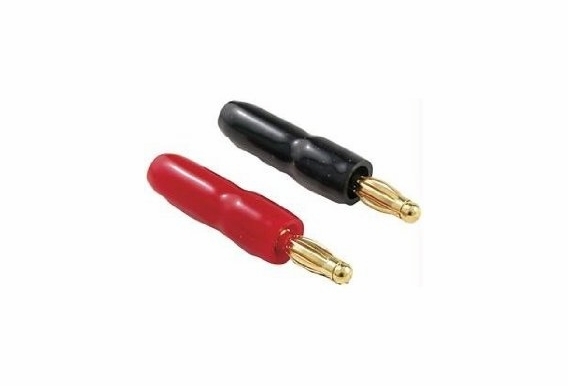 If used with the banana plug jack plates, crimp on the bananas in the inside of the J-box, and plug into the back side of the jack plates for a clean and fast installation. They feature high quality gold plating, black and red rubber boots and 9 individual leaf spring contacts. These banana plugs provide maximum signal transfer and are corrosion resistant making them perfect for outdoor.